Are you planning a gardening project and require some top quality mulch? If so, you will be searching for the best mulch supplier in Hampshire, which happens to be Abbey Turf. With years of experience in the industry and a wealth of knowledge supporting us, we are the ideal team to call for your landscaping products and needs. To find out more, please give us a call today on 02380 812302. When you are planning any kind of landscaping project that requires the use of mulch, you will want to be sure you’re using the professional mulch supplier Hampshire. At Abbey Turf, that is exactly who you are choosing; the premier company in the industry. We only supply the highest quality product to our clients, so you can buy with confidence. Bark chippings or mulch make a great addition to any garden as they help prevent weeds. Not only that, but they also provide a unique aesthetic result when combined with other landscaping features. As a premier mulch supplier Hampshire, we recommend that you use bark chippings or mulch for the borders of your garden. All bark chippings or mulch from our Hampshire mulch supplier are delivered per cubic metre. There is no request too big or too small for our team to effectively handle. At Abbey Turf, you will find we are more than just a mulch supplier. Hampshire can rely on us to supply both turf and top soil too. Our turf is produced in-house and we’re one of the only suppliers not to grow turf on netting. We offer several varieties of turf and our services are available all year round. All turf is cut fresh to order and we aim to deliver within 24 hours of your initial order. Every roll of turf will measure 1 square metre in size, but if you’re unsure on what size is suitable for your project, we can advise you. 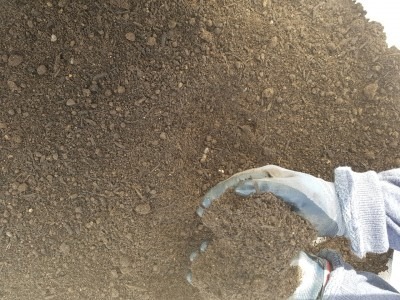 Additionally, we offer an excellent screened top soil that’s suitable for all applications including turf laying, garden borders, and seeding. The screening process ensures there are no weeds and no sharps present. We deliver all top soil in maxi bags which allows for a clean and easy delivery. All maxi bags can be lifted over fences to make your life easier. As a guide, one maxi bag will cover 30 square yards an inch deep. With Abbey Turf, in addition to being a mulch supplier in Hampshire, you can utilise our landscaping services. You can be assured that we will landscape every property to the highest standards. Why Choose Us as your Mulch Supplier in Hampshire? Here at Abbey Turf, we have 25 years of experience in the industry and our family-run business has gone from strength to strength over the years. We started with 10 acres of turf and have since expanded to a 180 acre turf site. In addition to this, we are also the premier mulch supplier Hampshire has to offer, so regardless of your needs, we can help. We are dedicated to providing a first class service for every customer. As the premier mulch supplier in Hampshire, we want to be sure that every client receives a service that caters to all their requirements. In fact, we actively work to not just meet your expectations but to exceed them every time. You will find the team at Abbey Turf to be professional, courteous, and friendly at all times. When you hire us as your Hampshire mulch supplier, we can advise you on the best solutions for you. It is this focus on customer satisfaction that has led to a large amount of new work coming our way through word of mouth. Would you like to see some of our work and products for yourself? If so, please take a moment to browse through our gallery page. Once you have, we are confident you will understand why we are the premier mulch supplier Hampshire. For further information about our services as a mulch supplier in Hampshire, please call us today on 02380 812302. Alternatively, you can email us at info@abbeyturf.co.uk or fill out our simple online form and we will respond as soon as possible.